This is the best unguided moose hunt we know of. A fly-in DIY moose hunt for trophy bulls! Here’s your chance to take a GIANT Alaska-Yukon moose at a fraction of the price of a guided hunt. This unguided, DIY hunt for moose not only has a great price point, it’s also a great experience. It can be physically demanding and we recommend you allow yourself 10 full days of hunting to help insure you have an enough time to harvest a quality bull. Moose densities in this area are considered so high by the Alaska Department of Fish and Game, that they are concerned with over population and are allowing hunters to take ANY BULL the entire month of September! 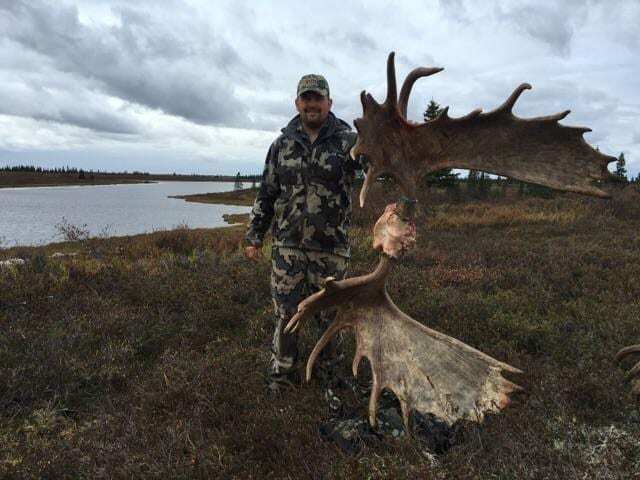 Trophy bulls in 60’s are taken every year and success rates on 50″ – 65″ moose is 75%! If you have been looking for an affordable way to hunt huge Alaska moose, look no further. The price of this DIY hunt will astonish you. Success rates and trophy quality are both excellent on this DIY moose hunt in Alaska. The genetics in the area are excellent and so is the food source which makes for a healthy growing moose population. Any bull can be taken in this area of Alaska, however the average moose in his prime will be upper 50″ – mid 60″ range Success rates on the unguided Alaska moose hunts are around 75% with an opportunity rate of 90%-100% depending on the year. These numbers are amazing considering this is a DIY moose hunt. The hunters who are successful get up before light, eat breakfast, and hunt hard all day. They eat lunch in the field, and return to camp after dark to eat diner. The day should consist of glassing and calling, while paying close attention to the wind direction. These areas are very conducive to calling and we recommend that you buy videos and learn to call before coming. This will go a long way toward the successful outcome of your trip. Keep in mind, packing a moose is very physically demanding and is not for the weak or physically disabled. Most of the areas are 30% – 50% black spruce with meadows and tundra ponds. Walking on the tundra is far more difficult than walking on flat firm ground. Since this is a fly-in DIY moose hunt, you can either provide all of the gear and food (most hunters ship it up ahead of time), or the outfitter will rent you the equipment you need and sell you the food you will take. Fully guided Alaska moose hunts are also available with this outfitter, but they are booked out far in advance. If you are in decent shape, you should really consider a DIY moose hunt. You can’t beat the price on these unguided Alaska moose hunts! Physical condition is the Key…be in good shape. It was an epic no guarantee adventure! Just what I was looking for. Can’t wait to go back!! I plan on using them again in a couple of years when I take my caribou hunt! It was truly a hunt of a lifetime and something I would suggest to anyone if able. Overall, it was a great adventure. Thanks for setting us up with this Outfitter! Coming from Iowa and having never hunted moose before, my dad and I weren’t exactly sure what to expect on a DIY moose hunt. Our worries of not seeing any moose vanished when we called in two 50” bulls 20 minutes after getting our camp set up! If you’re looking for a cost effective, DIY, Moose hunt, get ahold of Outdoors International. I’ve never been more appreciative of a company and the knowledge they share to put together this hunt for my dad and I. Thanks for everything! 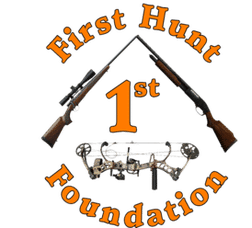 We’ll help you choose the best unguided hunt for your budget and goals.